When you have finally made the decision to erect a fence on your property, choosing the right fencing contractor to work with is an important Next Step. You’ll probably be tempted to pick the first fencing company you come across in the phone book or internet search, but you’ll find you have better results when you take a more systematic approach. 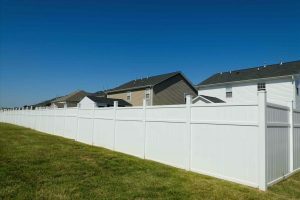 In this article we will outline 5 important considerations that will help you to choose the right professional for your fence project. 1. Start by finding local fencing professionals. There’s little doubt that you’ll encounter some general contractors in your area who claim they can install the fence you want. And, technically that may be true. However, the results achieved by someone who focuses solely on fences will no doubt be far superior to a general contractor. Your local fencing contractors can inform you of the options available for your property and if you want a specialty fence like iron fencing, pool fencing, or privacy fence, your fence contractor can let you know at that time how much additional costs are involved. A local fence company will be far more educated on the regulations and building codes for your area if they’re relevant to your new fence. The last thing you need is court summons for an improperly built or unsafe fence. 2. Have more than one fencing company quote. You want to make sure you call around and cover your bases with the companies who install fencing in your area. Any legitimate fencing contractor will want to come out and meet you and see the property and location he will be building the fence in. The distance from his shop, and the type of terrain they will be building on could greatly affect the cost of your fence. 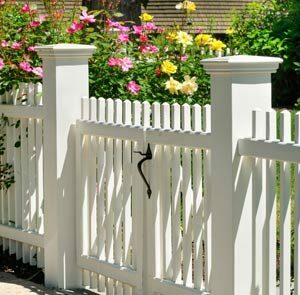 Be cautious of any Fence Company that’s willing to give you a fence quote over the phone. You don’t want to rush this. Instead, have several in-person consultations with different fencing companies and get quotes in writing that you can compare once you’re ready to make your final decision. 3. Always get contractor references and check them. Make sure you either read online reviews or personal testimonies of friends, family, or other people in your area who have used the fencing company you’re thinking of hiring. 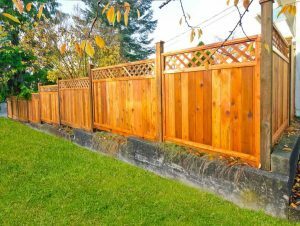 You should identify at least two fence contractors that you might want to work with so that you can pit them against one another for the best possible price for your new fence. You’ve probably found a good contractor when they will give you customer names and addresses for you to verify their satisfaction of workmanship and equipment. It’s also a good idea to check the Better Business Bureau to see if there’s been any recent complaints about the contractor you’re thinking of hiring. You need to make sure your contractor has a physical address in your area. Lastly, it’s good to know how long they have been in business. This reflects both their skill level and the amount of years they’ve been able to keep satisfied customers. 4. Ask your contractor about insurance, licenses, and fence building permits. There’s no law about needing to fulfill certain requirements before you can call yourself a fencing contractor. Many people start out in the fencing business with nearly no experience before setting their first post. Try to avoid problems by making sure the professional fence company you hire has been licensed and vetted for the correct insurance. You may think that you’re getting a better deal by choosing a less reputable Builder, but if he damages your home or property and has no insurance to cover it, the savings you initially enjoyed will be lost. An unlicensed for uninsured fence contractor may also take your down payment and run with it. Always make sure your fence company has been in your local area for more than a year and has satisfied customers. 5. 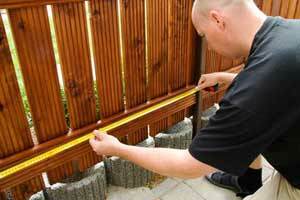 Ask your contractor if he will be subcontracting your new fence job. If this is the case, you’ll probably want to find another fencing contractor. You need a fence company like Fence FAST that has their own trained employees and can more accurately communicate to the workers on the job what you want done in real time. Otherwise, the contractor you hire will need to consult with the company he hired and the chain of command becomes much more difficult. If you do all of the above and everything checks out hundred percent, it won’t make a hill of beans bit of difference if your fence contractor subcontracts your new fence out to another fencing company. Just make sure they have a reputation like Fence FAST.